Even though KS, who passed into the ages on February 2, was already battling cancer bravely, he gave undivided attention with excellent recall about the topics under discussion. The first of a fascinating two-part interview. I want to start with an overview of the history of India's nuclear weapons programme. If you go back to Jawaharlal Nehru's writings in the 1940s, he recognised that it may be used (as a weapon) and then India also must have it. But at the same time he was a man of peace he wanted international peace. So essentially he was for development of technology. But he did not overlook the fact that it had a strategic dimension. It comes out very clearly that at one point in time in 1954-55, (the father of India's nuclear programme) Homi Bhabha after presiding over the Geneva conference on the peaceful uses of nuclear energy, came back with great enthusiasm and proposed to Nehru that India should amend the Constitution and say that it would never go nuclear. I presume that Bhabha got converted to the view that India should also go nuclear. The selection of the Canadian CANDU reactor (external link), which would produce plutonium and deputation of Homi Sethna (who headed the Atomic Energy Commission during India's first nuclear explosion in 1974) (external link) all show that at least in Bhabha's mind, the strategic programme was very much there. George Perkovich (external link) says Nehru all the time had it in mind, but those who think of Nehru as essentially a man of peace would dispute it, but it is difficult to say unless the personal papers of Nehru are made available. Once the Chinese conducted the test, Bhabha was determined that India should go for it. (Then defence minister V K) Krishna Menon opposed Bhabha. 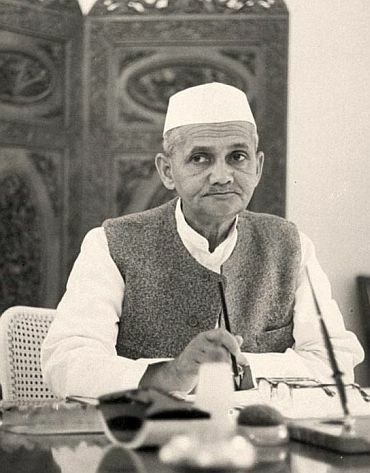 Once Lal Bahadur Shastri took over as prime minister, he was not familiar with all these things. The first time Bhabha came to Delhi to meet him I was told he was made to wait three days to get an appointment. He was used to indulgent treatment by Nehru and so he was a little put off. Then Shastri appealed to the UK for a nuclear umbrella against the Chinese threat. In the early 1960s there was a discussion in the US whether India should be helped to become a nuclear power to neutralise China. This was even before 1962 as they realised that China was close to building the bomb. It was supported by (then US Secretary of State) Dean Rusk in the State Department, but was opposed by the Pentagon and then US Defence Secretary Robert McNamara (external link). 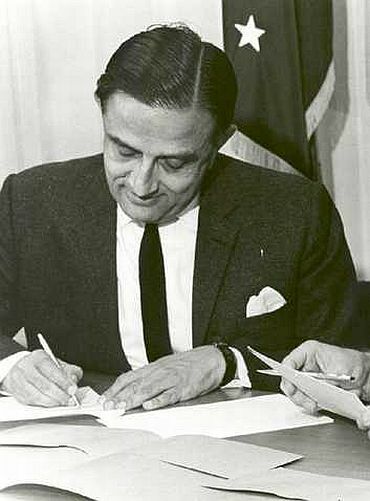 In 1964 Bhabha was able to persuade Shastri to sanction the SNEP (Subterranean Nuclear Explosion Project). In early 1965 there was an AICC (All India Congress Committee) session in Durgapur and there was pressure from some Congress members led by K C Pant, who was then a young MP, who said that India should go nuclear. He did not rule it out. To some extent it helped Bhabha in getting the SNEP project sanctioned and it was under SNEP that Raja Ramanna, R Chidambaram, P K Iyengar were brought into Trombay. Then Bhabha died in an accident in 1966 and then Vikram Sarabhai took over. Sarabhai, coming from a Gandhian background, was opposed to it. He argued that we did not have enough plutonium at that time and even by 1967 if we had enough for one test then what would you do afterwards. Thus, he alienated the Trombay people. The result was they boycotted Sarabhai and did not share any information with him. But Sarabhai was a gentleman and a very astute man and over a period of time he changed his mind. Not many people know about it, but he told me the last time we met in August 1971 while having dinner at the Ashoka Hotel, five months before he died. Then the Trombay people made Purnima, the fast pulsed reactor, using plutonium from CANDU. 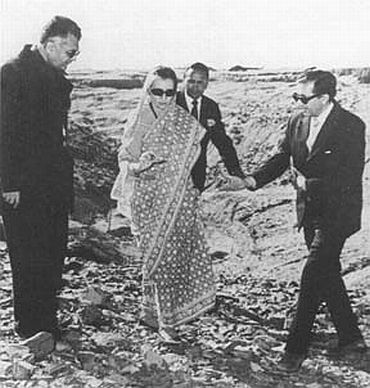 In 1967, Indira Gandhi sent Sarabhai and L K Jha on a worldwide mission seeking a nuclear security guarantee for India. They went to Russia, France, the US and the UK. They wanted a joint guarantee. They did not get it. In 1965 when the nuclear Non-Proliferation Treaty resolution was moved we were one of the sponsors. We propounded the balancing principle -- no more proliferation, but weapon powers should negotiate to give up their weapons. When the matter came up in Geneva in 1967 our delegate V C Trivedi found that something else was going on. They wanted to prevent everybody else from going nuclear, but did not want to have any limits on what they were doing. He made powerful arguments against this NPT and they are still quoted today. To some extent the P-5 found that India was a thorn in their flesh in Geneva. In 1968 when the matter came up regarding whether we should accede to the NPT (it was not debated much in the Cabinet) Mrs Gandhi and her close advisors like G Parthasarathy, P N Haksar were all against it. At that time I was the director of the Institute of Defence Studies and Analysis and conducted a crusade against the NPT and said India should go nuclear. At that time there were a group of parliamentarians called the Young Turks who were leftist Congressmen like Krishan Kant who were for India going nuclear. Because of that we became good friends and I used to give Krishan Kant questions to ask in Parliament. Sarabhai knew that Krishan Kant was asking 'my' questions. So in 1971 during dinner he told me, "Subbu you can call off your bloodhound (Krishan Kant), I am going to Mururoa Atoll to witness a French nuclear test." The Gandhian of 1967 had changed enough to go and witness the tests. So I said, "Vikram, do I draw conclusions from this?" He said, "You do what you like." However, till he died there was no reconciliation between him and the Trombay group. Sarabhai will be remembered as the founder of our space programme. Then according to the version given to me by Ramanna in October 1972 during the convocation of IIT-Bombay, Mrs Gandhi summoned Sethna and Ramanna and gave the go ahead for testing. Then they started designing the test. Preliminary work had already gone on, but Sarabhai had suspended it. But the Purnima reactor had give them some ideas about the behaviour of neutrons and plutonium etc. Between 1972 and 1974 they worked on it. Ramanna has recorded that even in 1974 people like P N Dhar and Haksar got cold feet and it was Mrs Gandhi who told them to go ahead. Why were they hesitant? Was it because of possible sanctions from the US etc? Yes. At that time the US had become friendly to China and treated us as an ally of the Soviet Union so they came down on us very severely. We already had a treaty with the Soviet Union! Yes, and also they could not forgive us for creating Bangladesh, a new country on the map which nobody had done after 1945! The sanctions started. We did not know that Pakistan had started its programme and was collecting money among the Islamic States. 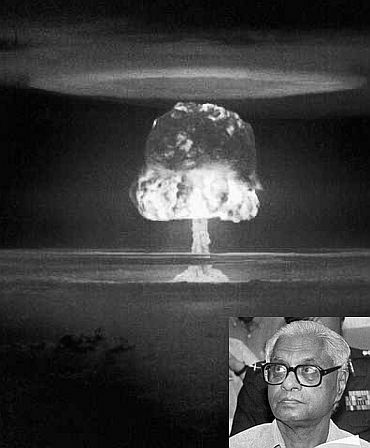 When the Janata Party government came in (in 1977), Morarji Desai did not like that we had conducted a nuclear explosion and did not like Ramanna (since he had led the test). He (Desai) even denied that there was any nuclear test. He continued to hold that tonnes of explosives were buried and exploded! Is it because he thought Mrs Gandhi did it merely to overawe the domestic Opposition and not for any strategic reasons? Yes. At that time the US was trying to persuade us to adopt full-scope safeguards -- that is everything should come under safeguards. V Shankar, who was Morarji Desai's secretary, was in favour of it. So he told the Americans that we will examine it. The Americans were confident that India would accept it. Sethna was opposed to full-scope safeguards. Morarji had said in Parliament that the Americans are proposing it and there is nothing wrong in examining it. Actually I discovered through Sethna that the proposal was originated by Shankar and not the Americans. I got a photocopy of it and brought it to the notice of Cabinet Secretary Nirmal Mukherjee that Morarji Desai could be cited for contempt of Parliament since he had told Parliament that it was an American proposal whereas it was actually Shankar's proposal. So the Cabinet secretary took it to Morarji. Was Shankar's proposal meant for the Cabinet? No. It was for the Indians to discuss with the Americans. Thus it was buried. Then Morarji went and made a speech in the UN General Assembly saying we will not conduct any more explosions. After he had read out that portion of his speech in the Cabinet, a message was sent through then President Neelam Sanjiva Reddy to drop it from his speech. In spite of that Morarji said it in the UN and he faced a lot of opposition when he came back. He tried to wriggle out, saying I said an explosion and not test etc. At that time Ramanna was also taken out of the BARC (the Bhabha Atomic Research Centre, Trombay) and put in as scientific advisor to the defence ministry. Of course, that did a lot of good to the defence ministry. But the Trombay team had been dismantled. Then in 1979 I produced a report saying Pakistan is going nuclear. We got intelligence information. We knew about A Q Khan coming back and starting uranium enrichment. I told the Cabinet secretary to take it to the five-member Cabinet Committee on Political Affairs. He did it and there was a discussion. I was not present, but Nirmal Mukherjee told me that the decision to resume the (nuclear) programme was taken, but it was not unanimous. Three (Cabinet ministers) had voted for it and two had opposed it. He asked me to guess who were the two that had opposed the programme. I said one was Morarji and that was correct, but I could not figure out who was the second. It was Atal Bihari Vajpayee! H M Patel, Charan Singh and Jagjivan Ram were for going ahead with our nuclear programme. Then the Morarji government fell and Charan Singh came (in as prime minister). Sethna said he could manage the whole programme himself. In fact he was trying to fill the BARC director's post so that Ramanna would not be able to get back, but that was prevented. When Mrs Gandhi came back she posted Ramanna back to the BARC. The programme was restarted by 1983. We were again ready. Was it for weapon testing? Yes, for weapons. The shafts were sunk in Pokhran, but at the last moment the Americans found out through satellites and put pressure on us. Mrs Gandhi told them to stop it at the last minute. In fact it was those shafts of 1983 that were used for the tests in 1998! In 1984 we got involved in the 'Six nation five continents' initiative. It started with Indira Gandhi and after her assassination it continued with Rajiv Gandhi. Essentially we ourselves were advocating the Comprehensive Test Ban Treaty. But it also involved some graduated disarmament along with a ban on testing. Yes. We were in the forefront of it. When Rajiv took over (as prime minister), he had a very intensive discussion with a group of us including me. He was at that time very much opposed to our going nuclear and he was very much in tune with the six nation initiative. Why was he opposed to it? Was it for economic reasons, sanctions etc? No. He was new to politics and I think he was temperamentally a man of peaceful intent. He genuinely believed that if we can avoid it then we should avoid it. For one year I had arguments with him and at one point in time I told him that "PM sir, if you won't take this decision, one day your defence expenditure will go through the roof." So he asked the others present about it. Some agreed and others did not. Admiral R H Tahiliani was also present representing the Chiefs of Staff. He said "We will give you a very serious quantified answer to this." The PM said OK. The committee consisted of (A P J) Abdul Kalam, R Chidambaram, General K Sunderji, Admiral K K Nayyar and Air Marshal Green. That group produced a report and for the first time it said a minimum credible deterrent of about 100 warheads can be developed in about seven years and it will cost about Rs 7,000 crore. Only one copy of the report was prepared and delivered to Rajiv personally by Sunderji. We don't know what happened to it afterwards. By that time were there no reports of the Pakistani nuclear programme? Yes they were there, but I was not in government so I did not know about them. 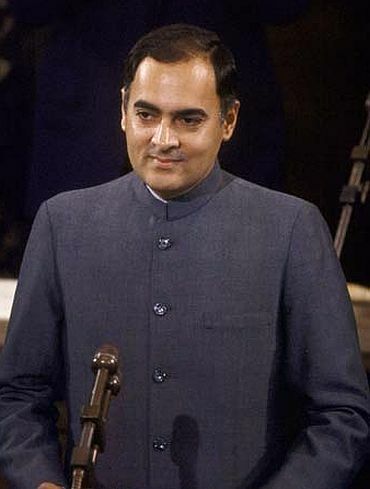 Thus he (Rajiv Gandhi) essentially stopped it (the nuclear weapons programme). For some reason his relations with Raja Ramanna also deteriorated and he did not accept Ramanna's recommendation of making P K Iyengar his successor. He selected M R Srinivasan who had nothing to do with the weapons programme. So at that stage it was obvious that Rajiv was not interested in pursuing the weapons programme. He went to the US, he had a successful meeting with President Ronald Reagan and there was an agreement on science and technology. I do not think he was given any promise regarding civilian nuclear reactors. He was hoping for reactors from Russia and at that time Koodunkulam was under discussion. 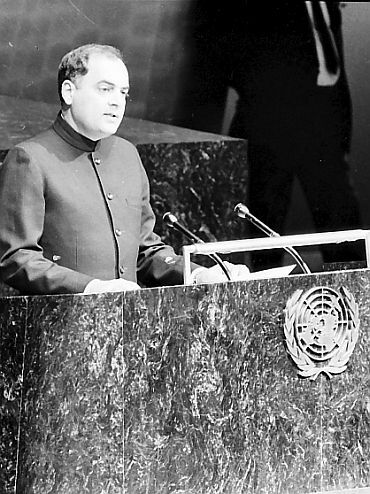 However, I am told that research went on and Rajiv did not stop it and then in 1988 he came out with his disarmament plan and put it before the UN and then to his horror he discovered that no one took any notice of it. Thus in March 1989 or so he sanctioned the weapons programme. There is also a rumour about Operation Brasstacks and some message delivered by Pakistan during that exercise that they have the bomb etc. I will come to that. Even though the weapons programme was sanctioned only in 1989 the missile programme was sanctioned in 1984-1985. In fact Indira Gandhi had sanctioned it and Kalam had been brought in specially from the space programme. During the Kargil committee hearing, S K Singh, who was the high commissioner in Pakistan in the 1980s, told me that in January 1987, he was summoned by the minister of state of defence in Pakistan, who told him that if India takes any action, then 'We are in a position to inflict unacceptable damage', which is code to say we have the nuclear weapon. Rajiv knew all that, but he still tried very hard (not to sanction the nuclear programme). Finally in 1989 the same man sanctioned the weapons programme. By 1990 we had not assembled many weapons, but the Americans came to us and said that Pakistan is threatening to use nuclear weapons against India. I K Gujral took him to (then prime minister) V P Singh and he repeated the same thing. He would not look people in the eye, but recite it as if he has been instructed to recite it. It was interpreted by India as a nuclear threat. In May 1990, the US sent a mission led by Robert Gates, the present US defence secretary, to Pakistan and they told the Pakistanis 'Be careful, do not try any adventure', then they came to India. Two American scientists have claimed that on May 26, 1990 the Chinese actually conducted a nuclear test for Pakistan. So they had come to dissuade Pakistan from doing it. Instead they put out the story about India-Pakistan. So Pakistan actually had a tested nuclear weapon by 1990, and not in 1998. That test was done in Lop Nor? Yes, in Lop Nor. 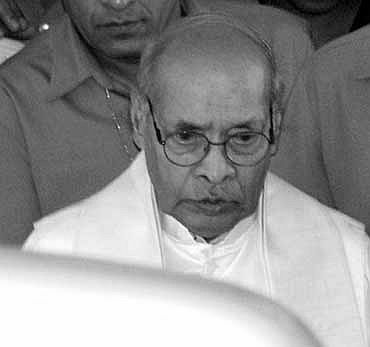 P V Narasimha Rao continued the programme. During the NPT review conference in 1995, the NPT was extended indefinitely and unconditionally. PV knew that we would be left out so he wanted to conduct a test. Preparations were all made, but again the Americans discovered it and they put pressure to stop it. That is a fact. Through satellites. So PV could not conduct the test. 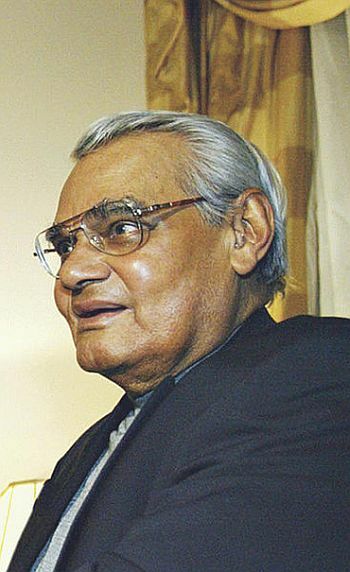 When Vajpayee took over PV sent him a note saying, 'I could not do it, you do it.' Vajpayee acknowledged it after PV died. In 1998 we were able to hide it. There is a claim that we conducted a thermo-nuclear test in 1998 as well. That is what (then chairman of the Atomic Energy Commission) R Chidambaram says. The problem is the 1998 tests were done in shafts that were sunk in 1983. They were capable of taking only 60, 70 kilotons. It is also in Rajasthan which may be sparsely populated compared to the rest of India, but it is still populated. So there is no way you can conduct a megaton test. Chidambaram says he did at 45 kilotons, but there are lots of people who question it. Don't miss the second part of K Subrahmanyam's interview! Shivanand Kanavi, a physicist, author and journalist, is now Global Head, Marketing & Strategic Communication at CMC Ltd.